Our BRAND NEW Crystalline Intention Grid Set! 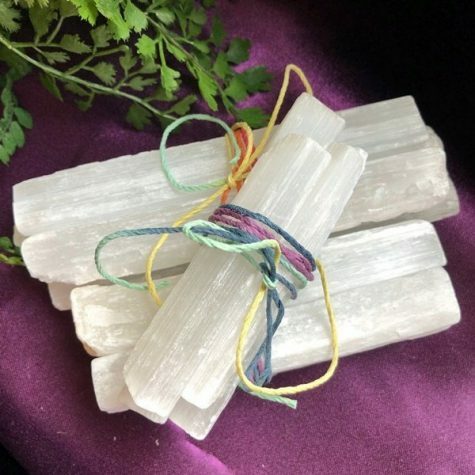 A crystal grid is an intentional arrangement of crystals that are selected to represent a specific intention, and then energetically activated to support that work. It is rather like a beacon to the Universe, blending their energies and producing an aura or energy equivalent to a much larger piece. The handmade organza grid cloth is the Seed of Life symbol. The Seed of Life is a universal symbol of creation. The name of this pattern instantly offers insight into its deeper meaning and purpose. Found at the heart of an ancient pattern called the Flower of Life, there is an entire cosmology of consciousness encoded into this singular geometric seed. BONUS Exclusive Creating Your Intention with Crystal Grids digital book! This is available by automatic download when you order. You can download the file 3 times within 14 days. Save to your own computer. NOTE it's best to download on a computer or laptop rather than a device. Use all the items together or individually to create your own crystal grids.